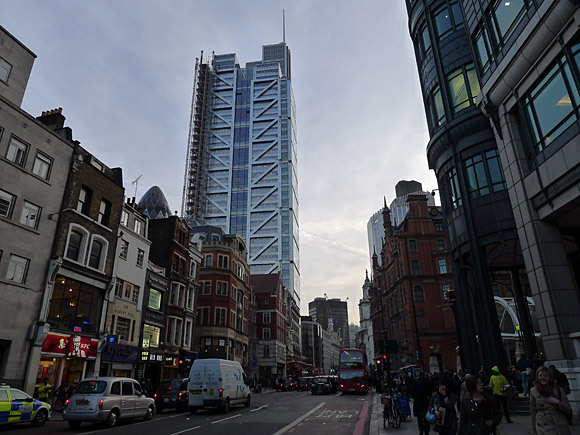 Set to open in February 2011 is the Heron Tower skyscraper, located at 110 Bishopsgate in the City of London, near Liverpool Street station. 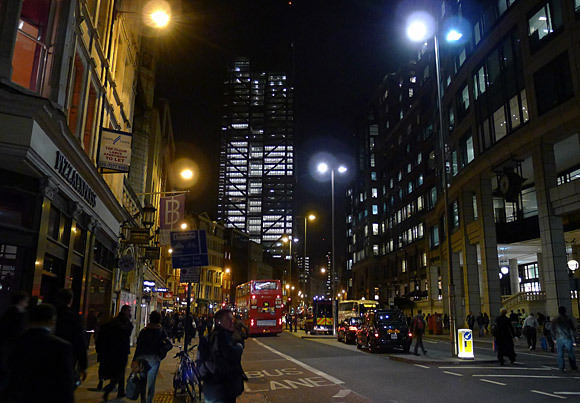 Standing 230 metres tall (or 202 metres if you exclude the mast), the Heron Tower is the tallest building in the City of London. 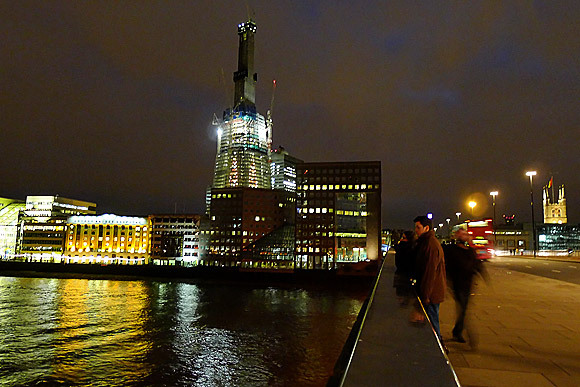 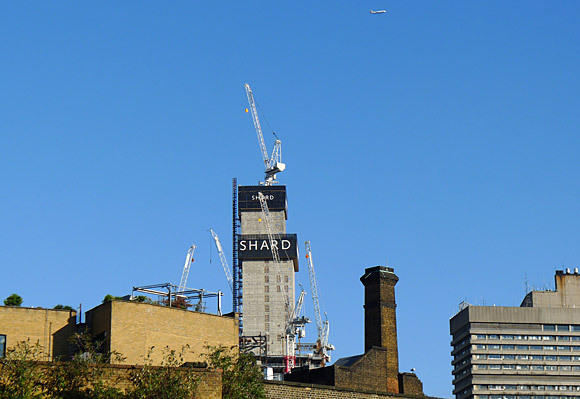 With The Shard at London bridge set to become the tallest skyscraper in London at 310m, followed by 1 Canada Square at Canary Wharf (235m) in second place, the Heron Tower will have the honour of being London’s third tallest structure. 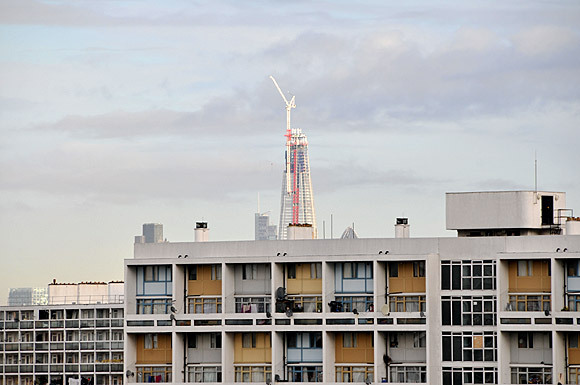 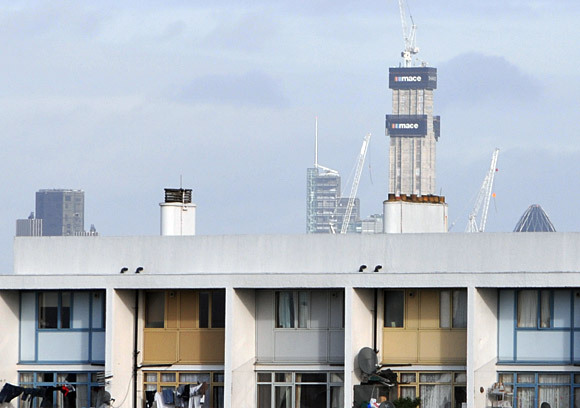 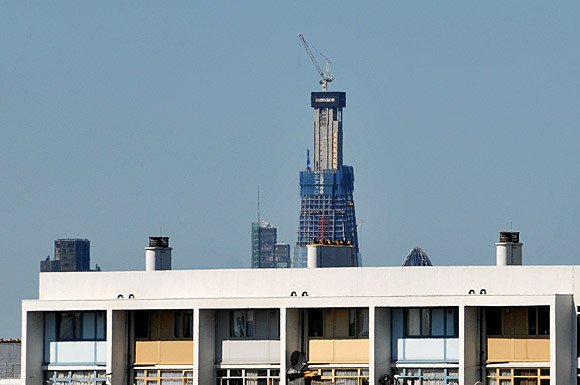 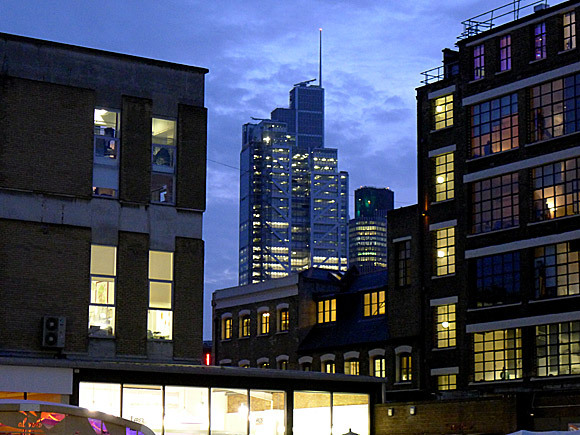 The top of the Heron Tower as seen from Brixton, with the Shard to the right. 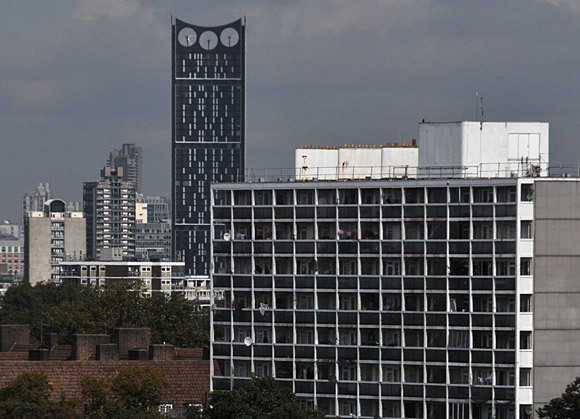 In the foreground is a 1960s tower block on Barrington Road, Brixton. 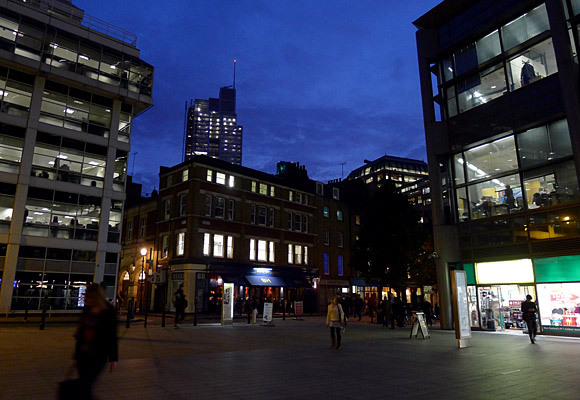 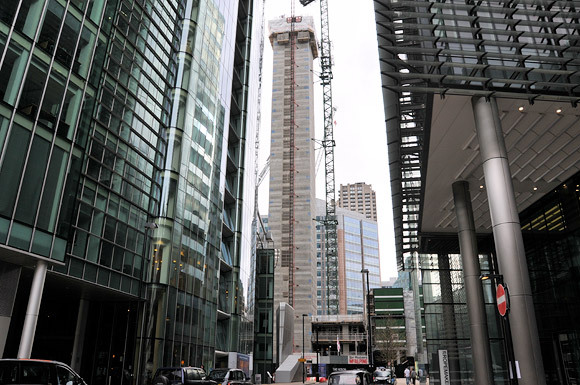 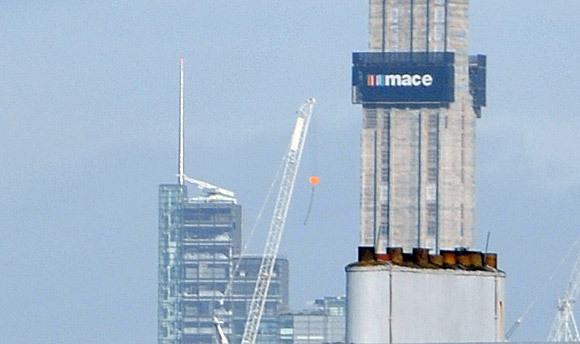 With my zoom set to ‘maximum’ here’s a photo of the Heron Tower, showing the 28-metre (92 ft) mast.